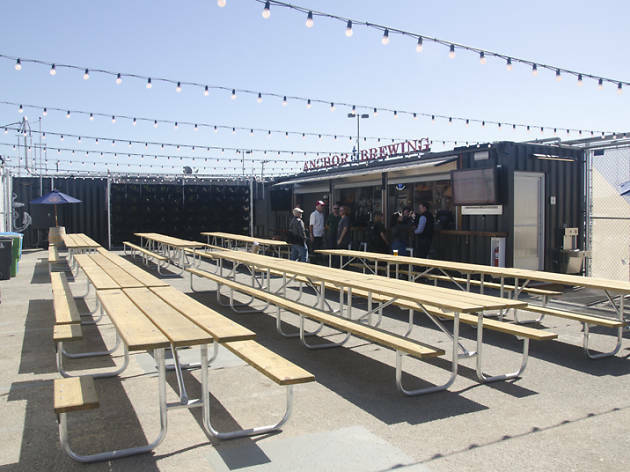 If you're a fan of beer and baseball, this outdoor drinking venue is for you. 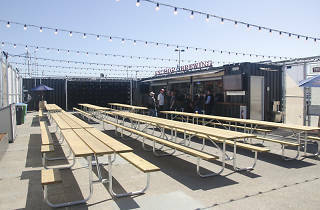 Part of The Yard at Mission Rock permanent pop-up across from the ballpark, don't confuse this beer garden with the actual Anchor Steam Brewery. You may not be able to see brewing in action here, but you can belly up to the bar for a pour from one of the 16 taps and follow up your drinking escapades with a bite from one of the stellar food trucks parked onsite (the french-fry-filled California burritos with Korean-style pork from Senor Sisig are legendary).